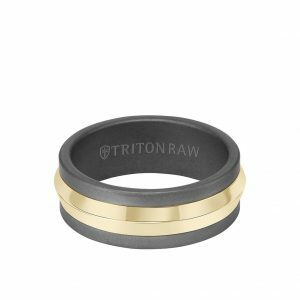 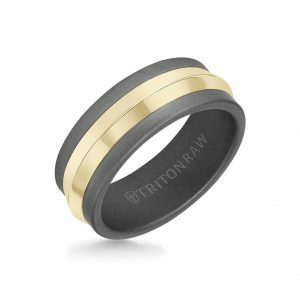 Triton Black RAW TC850 and 14K yellow gold inlay knife edge wedding band. 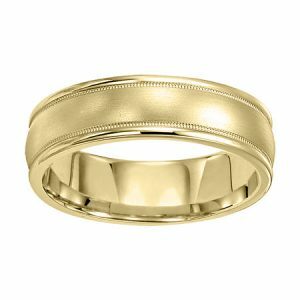 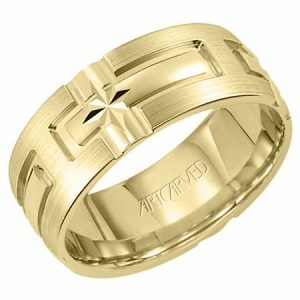 The band is 8mm wide with a matte finished 14k yellow gold knife edge inlay, which runs the circumference of the ring. 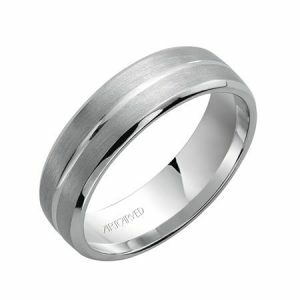 The ring has a raw finished flat edge and raw finished flat interior.